The Premier League season is underway and several new faces are already making an impact for teams up and down the table. 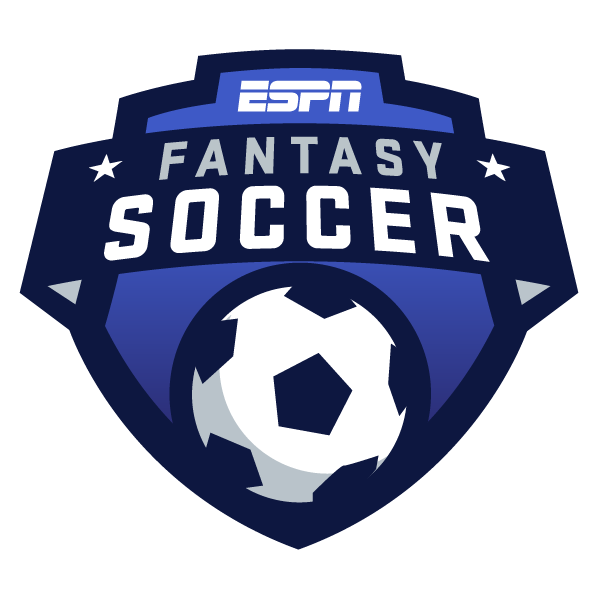 But which ones will matter most when you set your ESPN Fantasy Soccer lineups? Here are some names you need to know as you scout out your starting eight for our new game. In the most expensive goalkeeper transfer in the world to date, Chelsea acquired Arrizabalaga from Athletic Bilbao for 71.6 million pounds to replace Thibaut Courtois, who moved to Real Madrid. The 23-year-old only kept seven clean sheets last season, but he was playing for a team that finished 16th place in La Liga. Kepa's very highly rated, and already a part of the Spanish national team. He has only given up three goals in the first four games of this season, including two clean sheets. But Chelsea are very much a work in progress under new manager Maurizio Sarri, who has switched to a back-four in defense, so I'm not sold on their new keeper yet. He cost a world-record transfer fee (at the time) for a goalkeeper, but would have been the best keeper by far in a Serie A fantasy game last season. Alisson was only eighth in saves (109), but second in clean sheets (17) playing for Roma. Sounds like money well spent, don't you think? The 25-year-old, who started for Brazil in the World Cup and kept three clean sheets in five games, did commit a howler that led to a goal against Leicester City last weekend. But it was the first goal he's conceded in four games for Liverpool. Only one Premier League goalkeeper had more clean sheets last season, Manchester United's David de Gea (18). I like Alisson more than Kepa right now. A 25-year-old attacking midfielder, Anderson was injured at the start of last season and only played in 21 Serie A games for Lazio. But he did have four goals and seven assists, and West Ham paid a club-record transfer fee for him. Here's the bad news. Anderson has no goals and one assist in the first four games of this season, and West Ham are the only team in the Premier League without a point, having been outscored 10-2 in the process. I'd steer clear of Anderson, and West Ham as a whole, right now. This was Manchester United's only big addition in the summer transfer window -- a 25-year-old defensive midfielder coming over from Shakhtar Donetsk. We don't have official stats from the Ukrainian Premier League, but Fred played in eight Champions League games last season, and had one goal and one assist. Fred started Man United's first three games of the season, but did not have a goal or an assist, and was dropped from the lineup for their most recent game against Burnley. He's not a good fantasy selection, at least at this point. A member of Iran's World Cup squad, Jahanbakhsh is a 25-year-old attacking midfielder who led the Dutch Eredivisie with 21 goals in 33 games last season for AZ Alkmaar, and also had a joint-best 12 assists -- gaudy numbers indeed. But the Premier League is a major step up in competition. Jahanbakhsh, a club-record signing, has played in three of Brighton's first four games, but as a substitute each time. And players coming over from the Dutch league have been very hit-or-miss in recent years. Brighton signed forward Jurgen Locadia last winter, who had scored nine goals in 15 games for PSV Eindhoven, and he scored one goal the rest of the season. He's a 26-year-old central midfielder acquired from Napoli -- where he played for Sarri -- who would have been ranked 17th among outfield players in Serie A fantasy points last season. He only had two goals and four assists, but was the league leader in passes completed with 2,860. Chelsea have won their first four games of the season, and Jorginho has started in all four. He scored a goal in the season opener, but it was from the penalty spot, with regular penalty taker Eden Hazard on the bench. More importantly, he is the league leader in passes completed once again. Jorginho is a safe fantasy midfielder -- he'll get you points each week due to his passing, but will rarely put up a huge score. A 23-year-old midfielder who spent the past two seasons at RB Leipzig, Keita had six goals and five assists in 27 Bundesliga games last year. Liverpool have spent a lot of money on him, and have handed him the No. 8 shirt, most recently worn by former captain and club legend Steven Gerrard. Keita started Liverpool's first three games of the season, but was a substitute last weekend and is yet to record a goal or an assist. He's going to have some big games, but I have doubts about his consistency of production, and even playing time. Liverpool have a lot of depth in the midfield now, so there will be rotation, and Keita also picked up two red cards last year. The name may not ring a bell, but Maddison had a big season for Norwich City in the second division last year. The 21-year-old attacking midfielder had 14 goals and eight assists in 44 league games, and would have been the top outfield player in the Championship by more than 80 fantasy points. He had 124 chances created, 14 more than any other player. Maddison has started all four of Leicester City's games this season, and already has a goal and an assist. With Riyad Mahrez gone, Maddison has stepped in as Leicester's chief playmaker and could be one of the biggest surprises of the season fantasy-wise. He almost moved to Barcelona a year ago, but instead Seri is now a member of newly promoted Fulham, and looks like a steal. The 27-year-old midfielder only had two goals and six assists in 31 league games for Nice last season, but still would have finished 11th among outfield players in Ligue 1 fantasy points. He was the league leader in passes completed with 2,419, and ninth in chances created with 66. Seri has started all four of Fulham's games this season, and already has a goal and an assist ... the same as Maddison. But he's way ahead of Maddison in fantasy points. In fact, Seri is ninth among outfield players -- one spot ahead of Jorginho -- thanks in part to being sixth in passes completed and tied for 10th in chances created. A 22-year-old defensive midfielder, Torreira spent the past two seasons at Sampdoria. He only had four goals and one assist in 36 Serie A games last season, but finished second in tackles, tied for fifth in interceptions, and 10th in passes completed. Torreira, who featured for Uruguay in their run to the World Cup quarterfinals, has come off the bench in each of Arsenal's first four games, however. Until he cracks the starting lineup, he's obviously not a good fantasy option.